One of the things travel has taught us is that there’s always something new to discover, wherever you are in the world. We now see the UK with fresh eyes, when we visit we make an effort to explore new areas and we appreciate the natural beauty and cultural heritage of our homeland much more than we ever did when we lived here. This is true of Wales, the place where Andrew grew up. 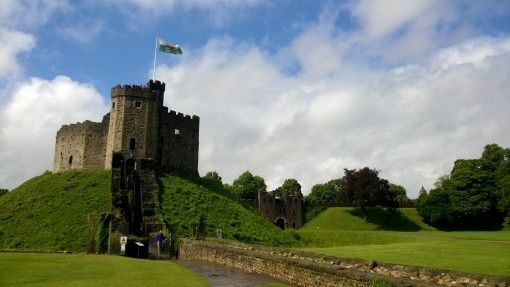 Despite multiple visits to see his family in Carmarthen over the last ten years, I’d barely seen any of Wales until our trip this summer when we went sightseeing crazy. We spent over a week taking daytrips with Andrew’s family to bays, beaches, forests and cities. 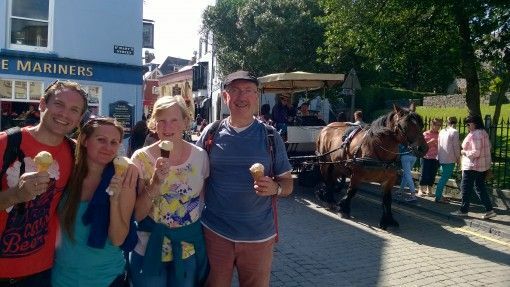 We walked miles along cliff-top coastal paths, strolled around candy-coloured sea-side towns and discovered ancient castles and waterfalls – we also ate more than our share of fish, chips and ice cream. 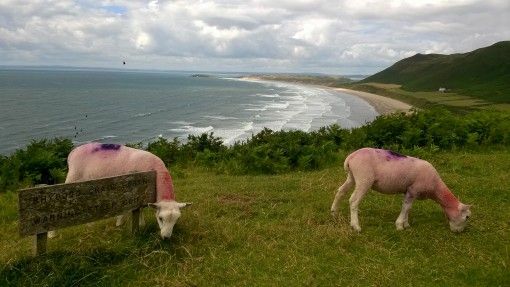 Here’s a run-down of all the Welsh Wonders we discovered. This tiny village boasts a handful of brightly-coloured, cottagey houses and a small harbour. 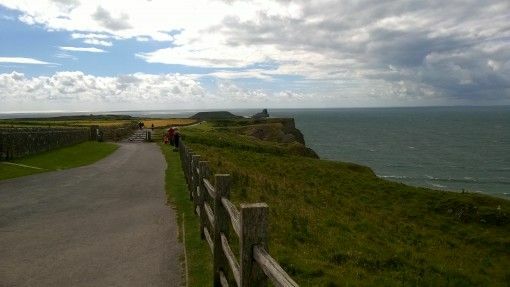 Armed with fleeces, coats, sunglasses and a picnic (pack for all weather eventualities in Wales), we set off on a five and a half mile walk along the Pembrokeshire coastal path. A sharp climb took us to the cliff-top and endless views of the jagged coastline below. 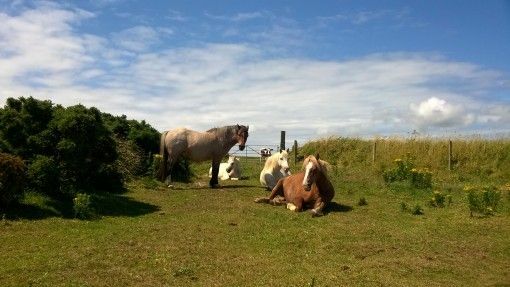 Along the way we stopped for a picnic with some horses and eventually wound our way inland back to the harbour tea room for a hot brew and a delicious Welsh cake. 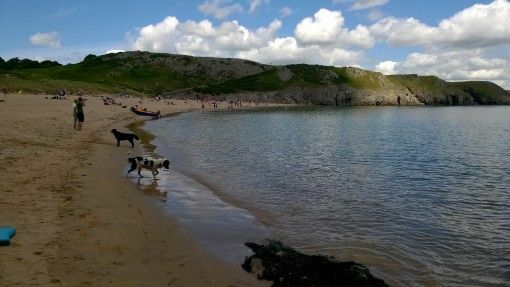 A small but perfect bay, Barafundle is often included in top UK beach guides. 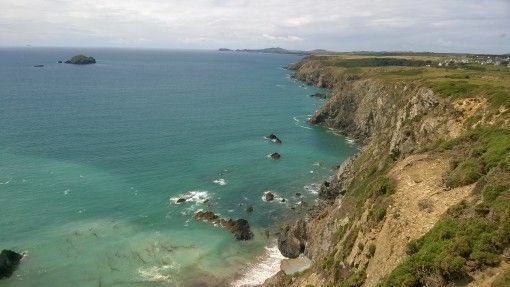 The bracing walk to the bay is a treat in itself as it winds along a coastal path high above the sea, before reaching a set of steps leading down to a sandy, enclosed beach. 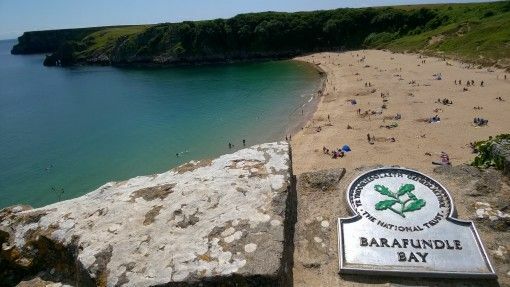 Weather permitting, you could easily spend a whole day in Barafundle Bay lounging on the sand and swimming. 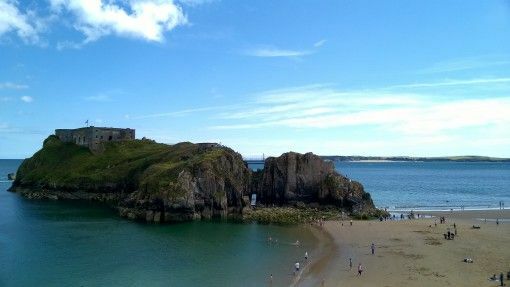 Tenby reminded me of a Cornish sea-side town with its pastel-coloured houses and narrow streets, cream teas and ice-cream parlours. We ate fish and chips overlooking the water, walked along the beach and explored the town with its sweet shops, pubs and cafes. 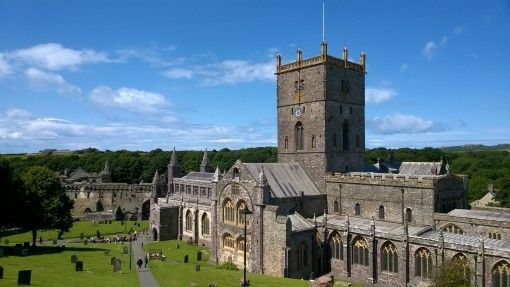 St David’s is famous for being the smallest city in the UK. 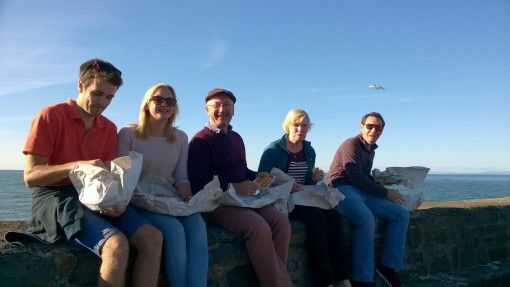 We spent a couple of hours walking along a nearby coastal path before heading back to St David’s Cathedral, where we had a picnic in the grounds. 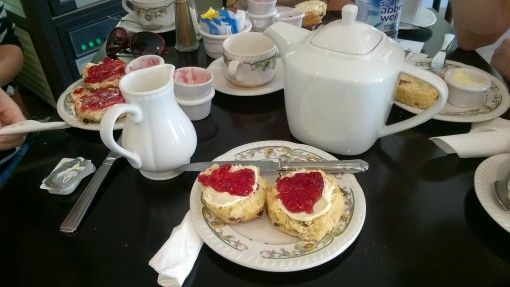 There’s not a lot else to see in St David’s aside from a small collection of shops, tea rooms and pubs, but we found a cute café to have a cream tea in before heading on to our next stop. 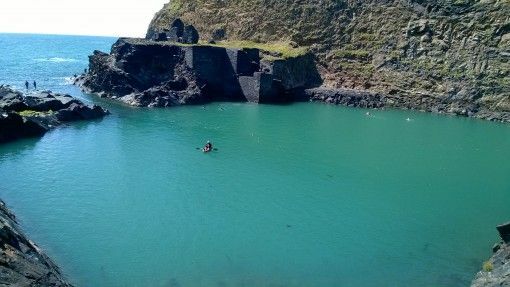 Half an hour away from St David’s you’ll find Abereiddy. Go past the beach and follow the signs to the nearby Blue Lagoon, a pool of deep, cold, topaz water. Despite the wind and frosty temperature, there were plenty of wetsuit-clad people swimming across the lagoon and leaping into its icy depths from the cliffs above. 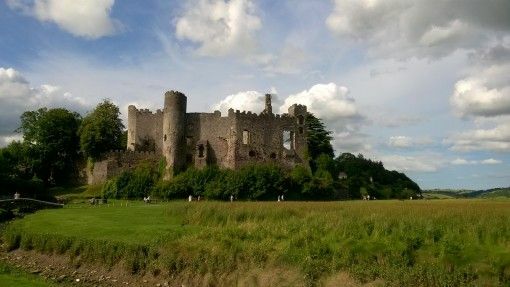 Laugharne is famous for its association with the Welsh poet and writer Dylan Thomas, who spent years living and working in the small seaside town and was laid to rest here when he died. 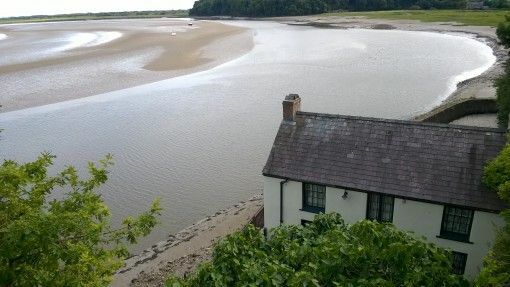 Starting from Laugharne castle, we walked part-way around the Dylan Thomas Birthday Walk, which took us past the boathouse overlooking the estuary, where he lived with his family and penned some of his famous books and poems. 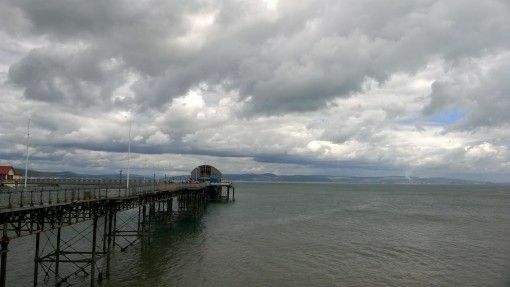 Mumbles is a bustling town in Swansea and the Gower and a popular tourist stop. 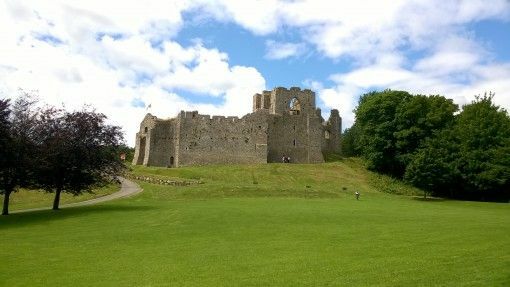 We had lunch there in the grounds of Oystermouth castle and then set off on a long walk along the promenade to Mumbles pier. Although we were buffeted by what felt like gale-force winds as we walked along the peninsula towards Worms Head, it was well worth it for the awesome views of the coast line and Rhossili Bay. The bay itself is an impressive strip of wide, pale sand set beneath dramatic hillsides bordered by chunky cliffs. The view reminded me of some of the Australian beaches we saw along the Great Ocean Road and from the Lighthouse in Byron Bay. We got a full-on dose of British summer weather on our day out to Cardiff as it poured with rain from the minute we arrived. 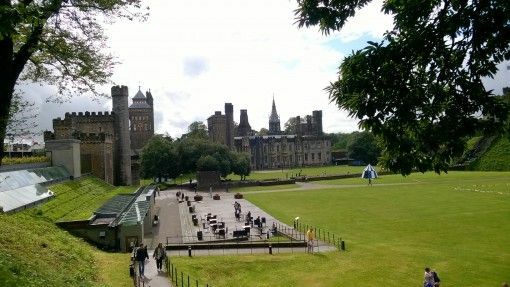 Not to be deterred, I bought some cheap wellies and an extra jumper and we set out to explore Cardiff Castle, which has been fully reconstructed so there’s plenty to see. We spent hours walking around the castle, its house and grounds while listening to an excellent audio-guide. We loved the long, covered stone passageways where people sheltered from bombs in World War Two and the ornate rooms in the castle house. 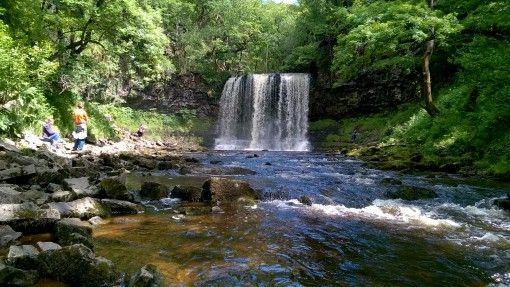 We spent a lot of our time in Wales walking along the coast and exploring beaches, so our day in the Brecon Beacons National Park was a nice change. Brecon is well-known for its rolling hills, unspoilt countryside and woodlands as well as its dramatic waterfalls. We hiked along the Four Falls Trail through woods alongside the river, stopping to trek up and down steep muddy paths to see the crashing waterfalls. 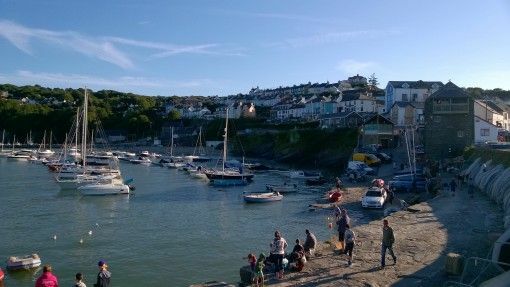 New Quay is just a forty-minute drive from Andrew’s parent’s home in Carmarthen, so we took a trip down there for dinner one evening. We sat ourselves on the pier and ate some of the best fish and chips I’ve had since being back in the UK whilst keeping an eye on the greedy seagulls lurking nearby. We watched the boats in the harbour, people crabbing in the rocks and dogs swimming in the sea before grabbing an ice-cream and heading home. Have you been to Wales? 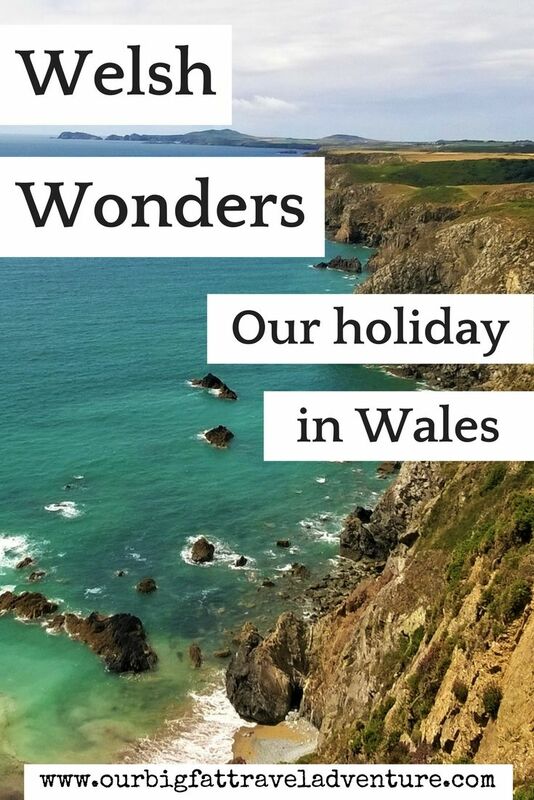 Do you have your own Welsh Wonders? Amy, you and Andrew have covered a lot of ground there in South Wales. It all looks so beautiful, I have never been to South Wales and is now definitely on my list. You are so right that we have some wonderful places to explore here in the UK and we often think we need to go abroad to find exciting adventures when we should value what we have closer to home. I did visit North Wales recently and climbed Mount Snowdon, my first ever hike up a mountain. My son was in North Wales for 5 weeks doing a mapping project in June/ July, for University and we visited him there at his rented cottage. Enjoy the rest of your time in the UK. Hi Gilda, yep, we certainly covered a lot of ground and we still only saw a fraction of Wales really! Next time we need to tackle the north, especially Snowdonia. Congrats on climbing Snowdon, sounds like a great adventure! 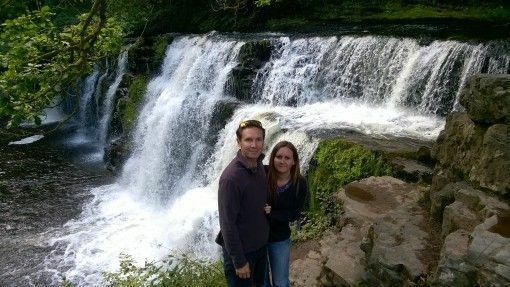 Well apparently, we need to visit Wales! 😉 I visited England with my sister nearly 30 years, Abi has never been, and I think it’s time we bump England up to the top of the list. I love, love, love, writing our names in the sand whenever I can. I’m so glad the two of you are enjoying your summer in the UK visiting friends and family. You really covered a lot of ground Amy and yes, I’ve been to Wales. A few times. I quite like the little country and the sing-song accents. Very quaint. I found the Welsh people friendly, outgoing and helpful. The last time I went there was in 2010. 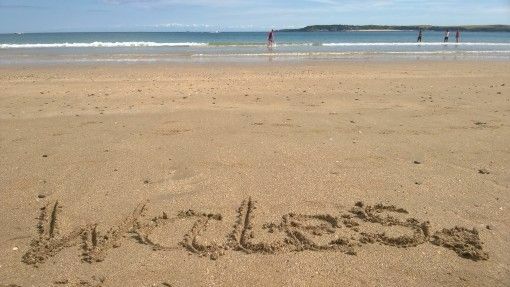 We did a three week stint around Wales. We flew to Bristol then started in Cardiff, stayed in the Brecon Beacons National Park which was fantastic. We went hiking, stayed in bunkhouses and I learnt how to ride a horse. Properly! We then cut across to Hay-on- Wye for the books, went back into Wales and then to the Pembrokeshire Coast National Park which we loved very much, we went to Aberystwyth, and then up to the Isle of Anglesey. I wanted to nip off to Ireland while we were near Holyhead, but my husband is German and it hadn’t been pre-planned…! And since Cheshire isn’t that far, we drove to England to visit the family and I showed my husband my old house in Cheadle! Now you’re making me homesick! I love all those places and know them inside out. 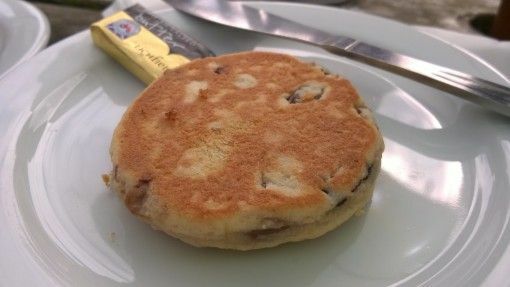 I was just thinking of making some Welshcakes on my wood burning stove here in Romania. I can’t eat them, my insides still aren’t right after the antibiotics to kill my Indian bug, but the kids need to get in touch with Welsh culture!